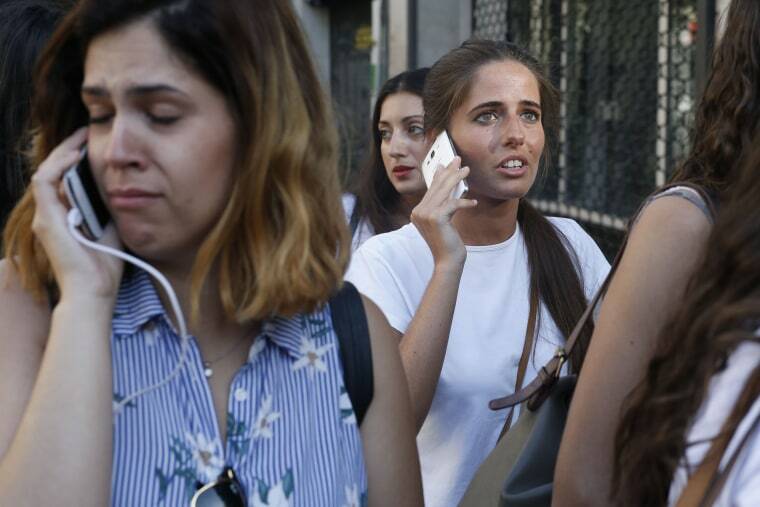 A van plowed through a crowded pedestrian plaza in the heart of Barcelona, killing more than 10 people and injuring dozens. 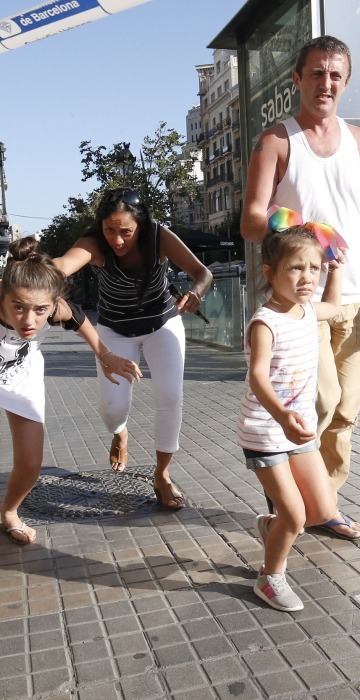 A woman and child flee the scene after a van plowed into pedestrians on the Rambla in Barcelona, Spain, on Aug. 17, 2017, the latest in a series of low-tech attacks in European cities. 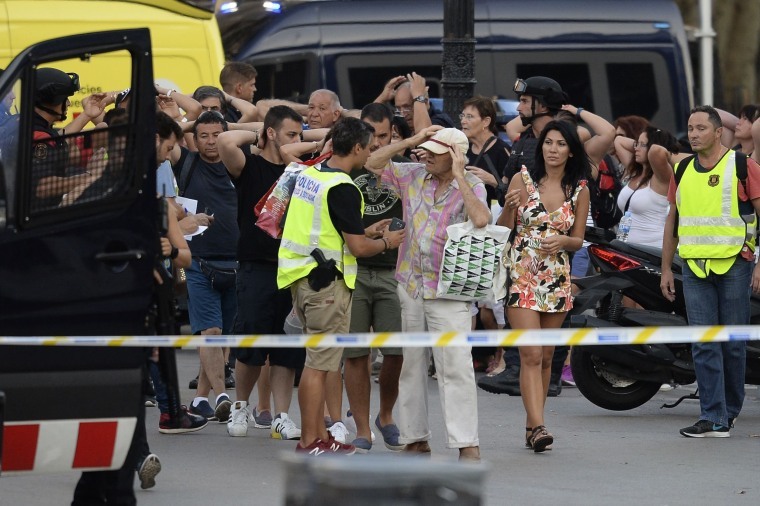 People attend to an injured person at the scene. 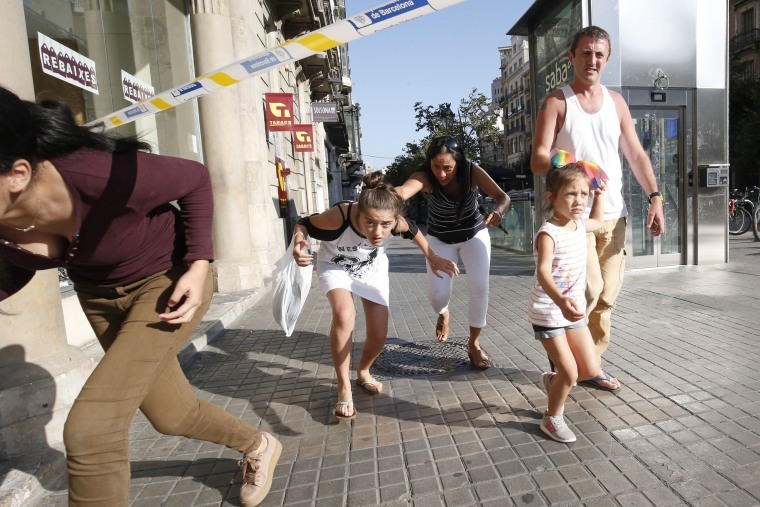 People leave a cordoned-off area. 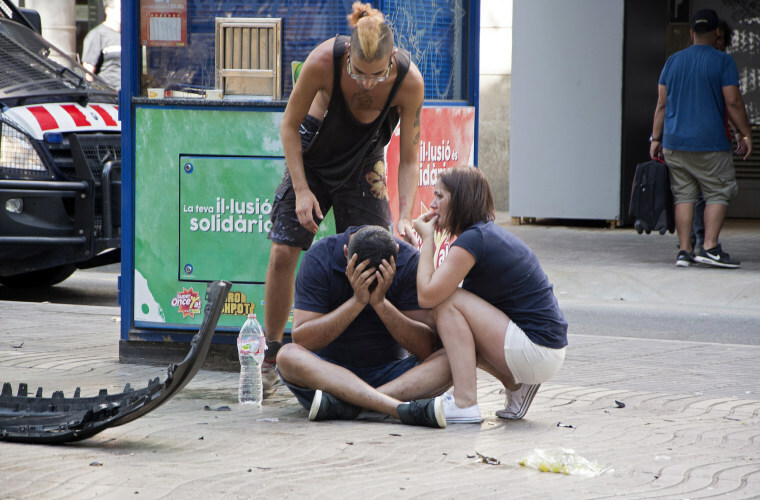 People place their hands on their heads as police check their identities. 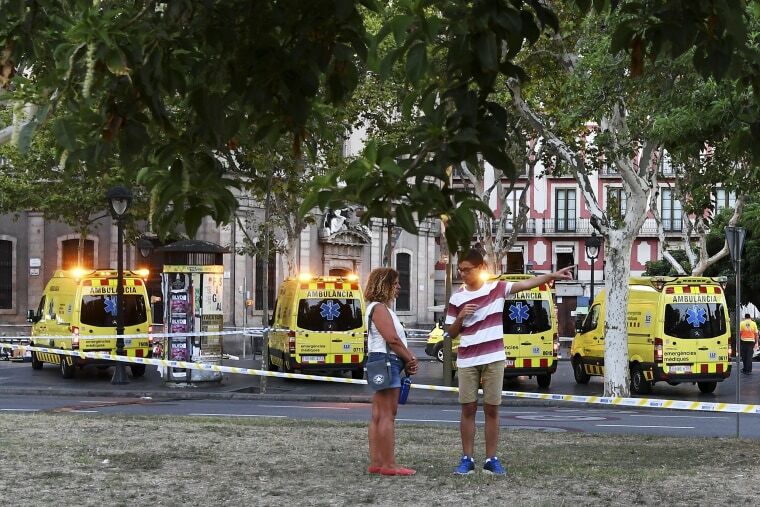 Ambulances lined up near the scene of the attack. 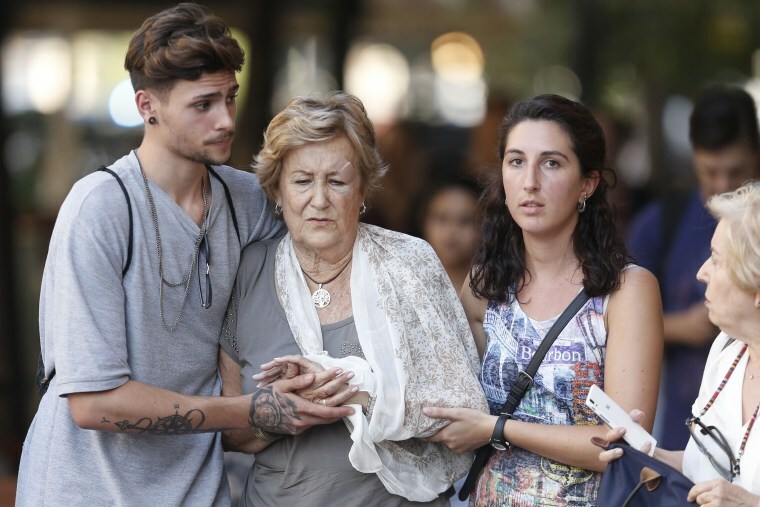 A woman walks with her arm in a makeshift sling. 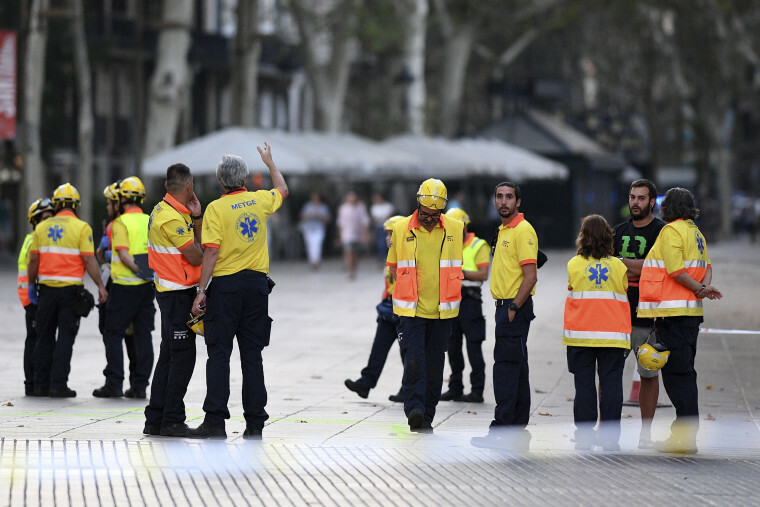 Paramedics stand at the scene of the attack. 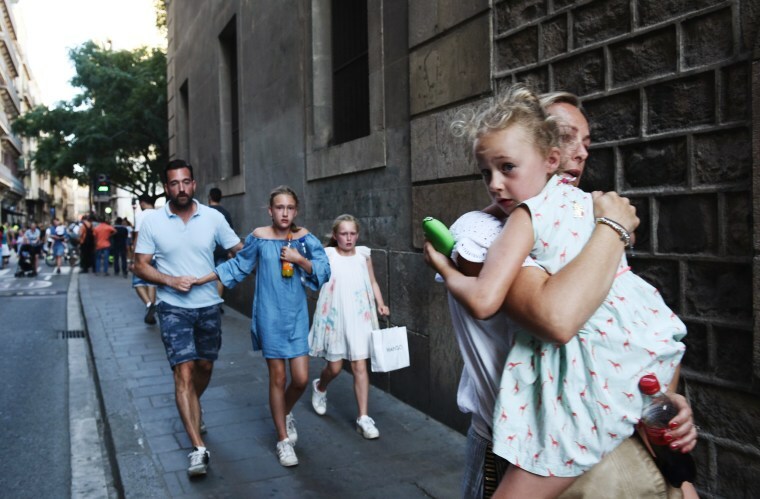 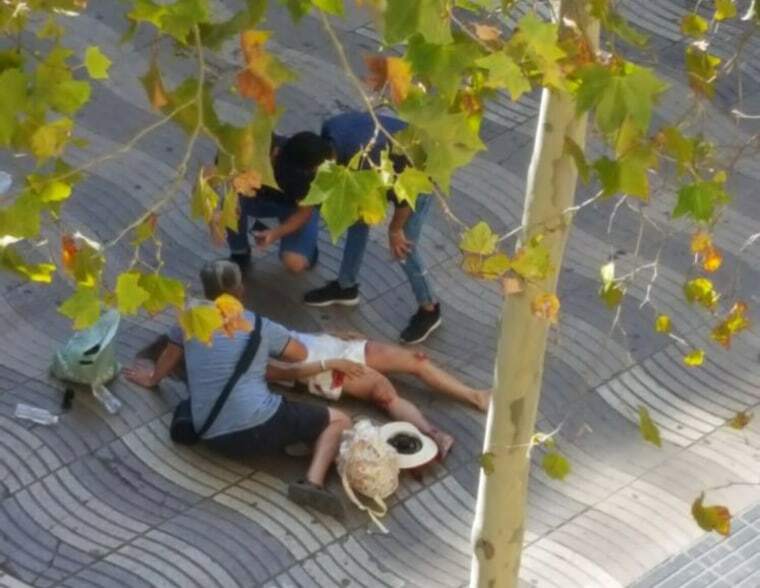 The attack unfolded along La Rambla, a street with wide pedestrian plazas lined with restaurants and shops that on summer afternoons teems with locals, tourists, merchants and street performers. 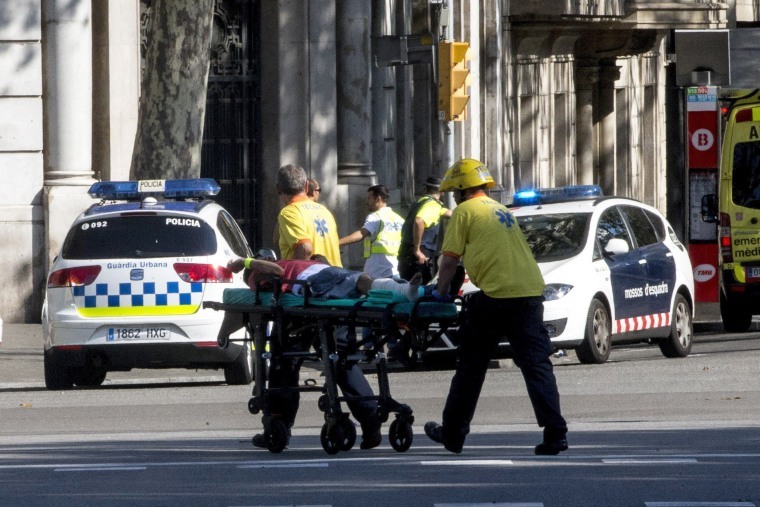 An injured man is transported on a stretcher. 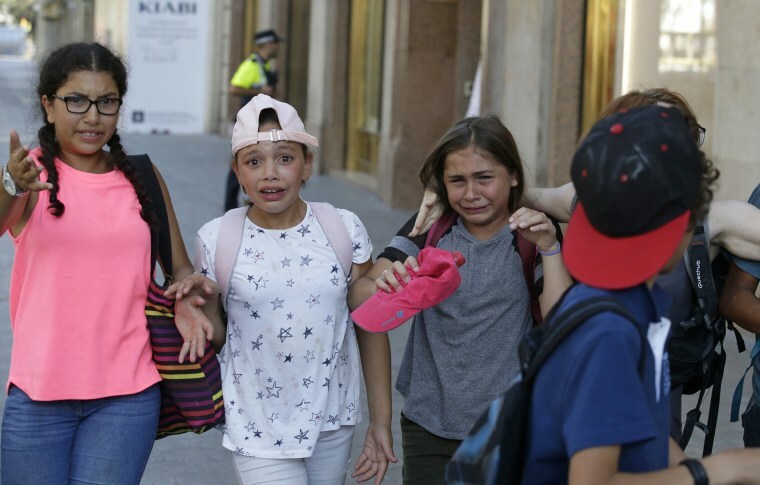 Children, some in tears, are escorted away from the scene.